I’ve been an avid Doctor Who fan from my earliest years watching Tom Baker as the fourth incarnation of the Timelord. I stuck with the Doctor all through the 80s into the wilderness years and thrilled to his return in 2005. My love of the show naturally led to me producing quite a few pieces of fan art and then commissions from the long running series. Earlier in 2016 I was lucky enough to create an official illustration for the 50th anniversary of the Cybermen and so I’m thrilled to return to the series with the launch of the official BBC Doctor Who Sticker Packs for iMessage on iPhone and iPad. Working with BBC Worldwide and Paul Gee of Moonboom Limited we’ve created a range of sticker packs that work with Apple iOS 10 for their iMessage instant messaging service. 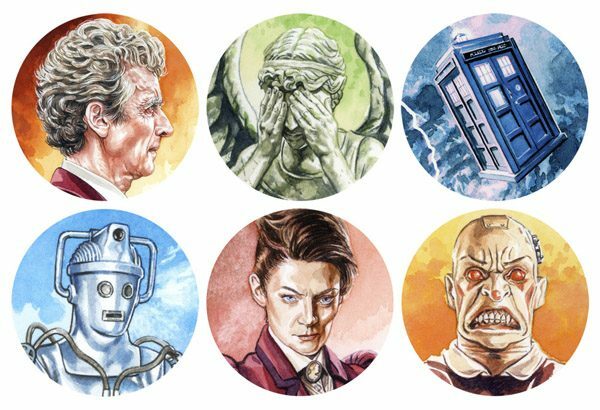 30 of my Doctor Who watercolour paintings have been chosen to launch the packs including the good Doctor, TARDIS, Cybermen, Weeping Angels and many more. 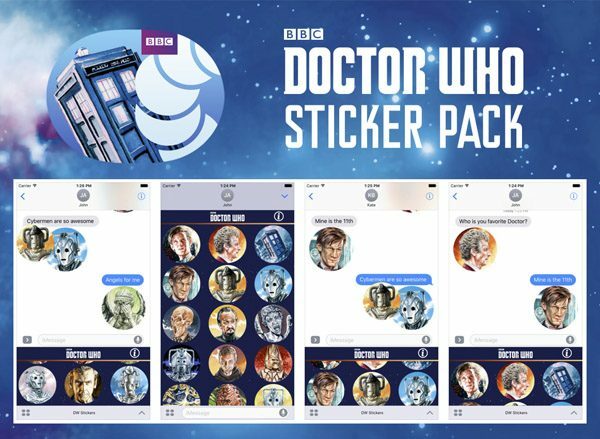 A second pack is due for imminent release with plans for more packs to add to the Doctor Who Sticker collection.